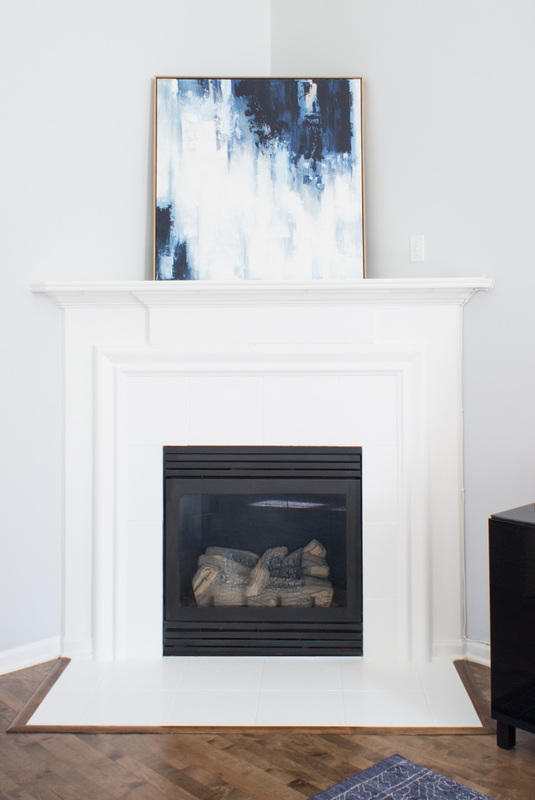 I have been eyeing to change this fireplace since day one of moving in (see day one photo – here). But there are other more important projects that needed my attention more than this fireplace – and I still need to get better at prioritizing. Every holiday, I always have a color scheme. But whichever color scheme I plan to use to make the area look festive, there is this outdated looking fireplace with a sad green colored tiles. It kind of messes up my holiday decoration plans. Also, the color and style of the tiles do not compliment the rest of the house. As we added more things like curtains, vases, side tables, and other decorative objects to the living room, it made sense to update this dull section. The mantel is still in a great shape with good structure. It doesn’t need an overhaul makeover, it just needed a new paint to refresh the look of it. I didn’t want the fireplace to be a focal point of the room. I chose our TV stand instead. To settle the look of this corner, I choose white color. 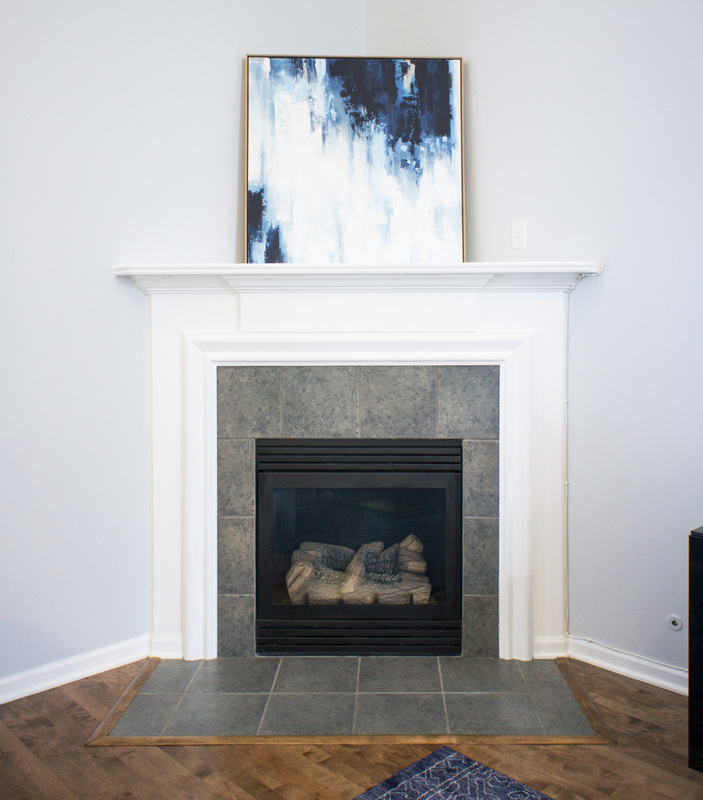 The white paint gives a clean and contemporary feel to the living room. 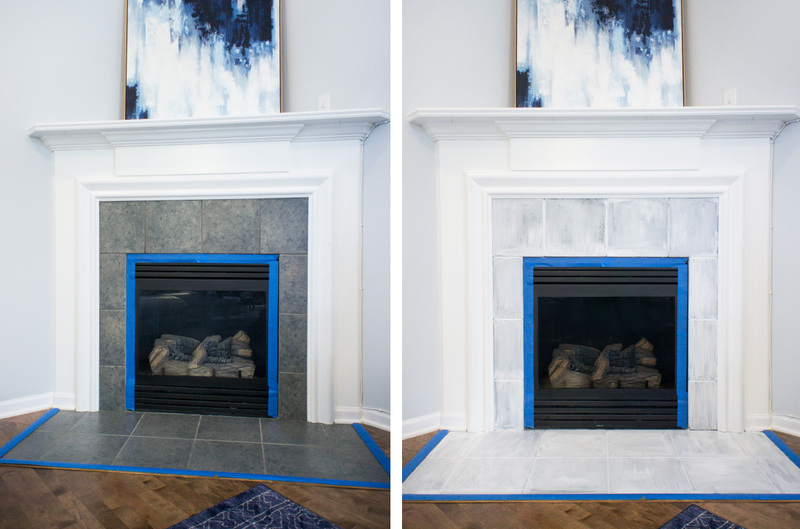 The first step is to prep the mantel. I lightly sanded the tiles and then cleaned off any dust and dirt. Then, I used a painter tape around corners and edges to protect the area where I don’t want the primer/paint to go over. 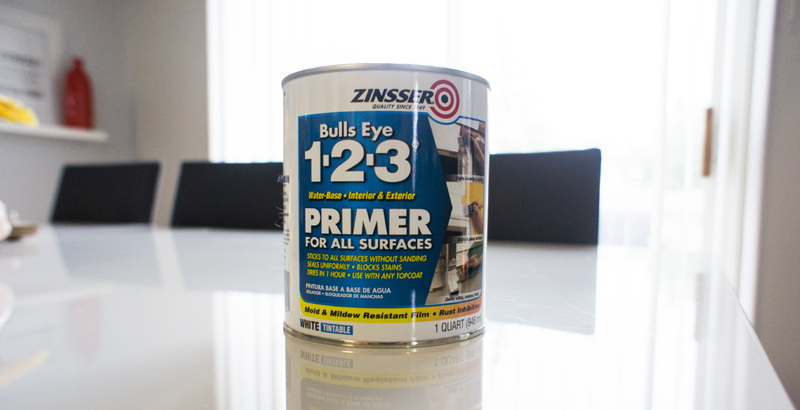 I chose Zinger Bulls Eye 1-2-3 Primer; 1 quart from Home Depot. The color of tiles were really dark that I end up painting about seven layers of primer with a standard brush. After the primer covered all the tile area, I let it dry. I used white paint leftover from our office to paint over it. Fairly simple and it was done rather quickly. Ta-dah 🙂 No more outdated ugly green tiles. It was ready for the holidays (See this fireplace in last year’s Christmas here). It changed the atmosphere of our living room space.